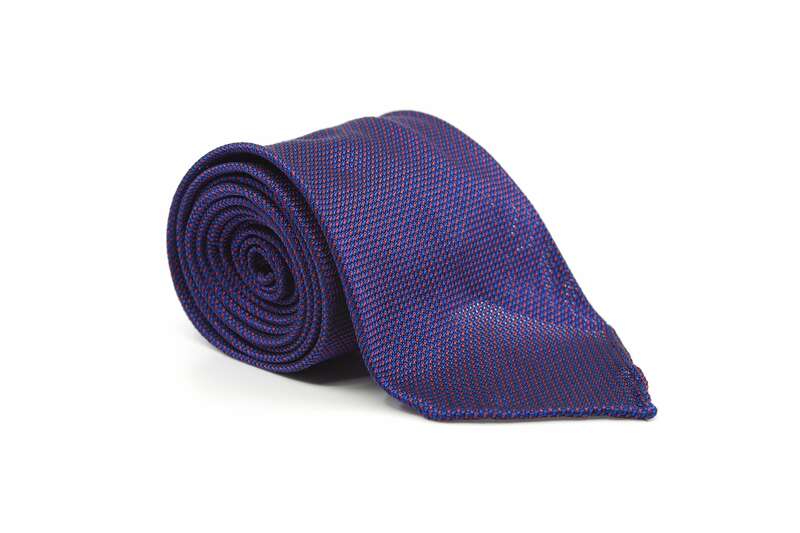 This woven silk tie is one of the most unusual options for conservative business dress. From a distant this Grenadine Garza Fina appears to be solid navy with a tendency towards dark plum. From up close the small red spots become noticeable. 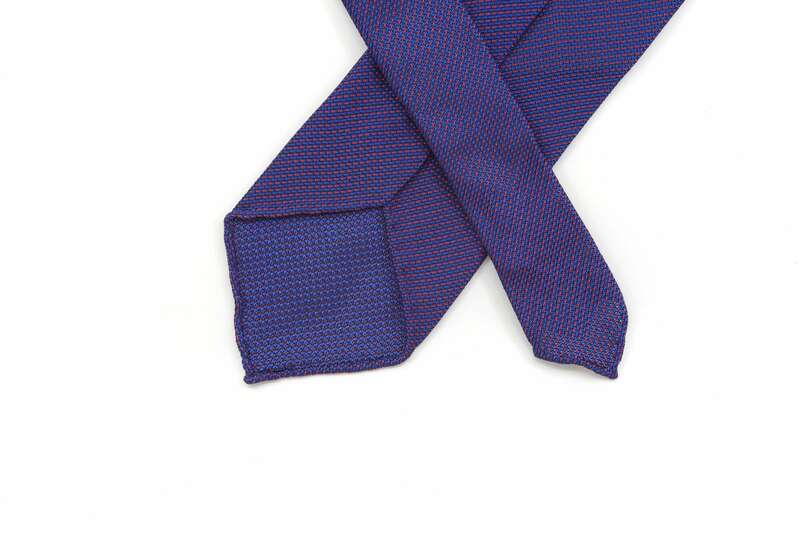 Due to the loose weave and the ties untipped construction, the tips of the tie will be semi translucent which underlines the hand made nature of the product. Pair it with a white shirt, navy suit and black cap toe oxfords for a classic look or go bold(er) with a white OCBD, an olive wool-silk-linen jacket, light grey fresco pants and dark brown suede cap toe oxfords. 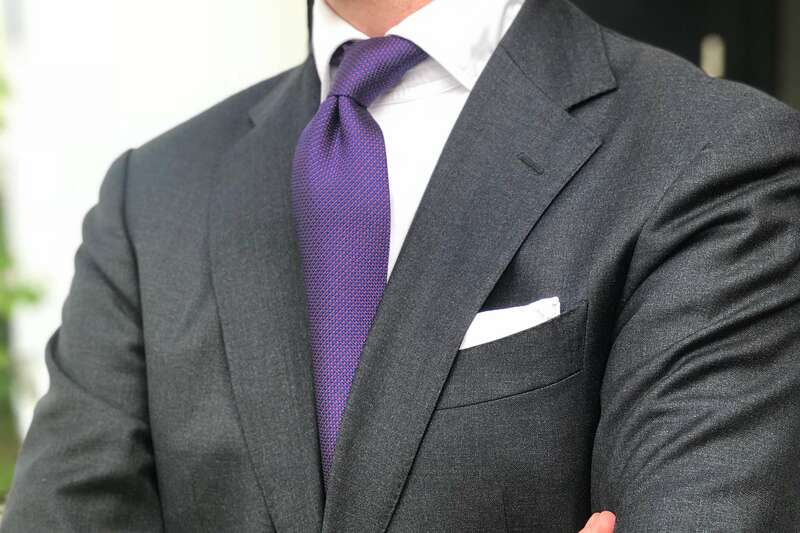 For pocket squares, we recommend choosing a plain white linen or grey based silk square. 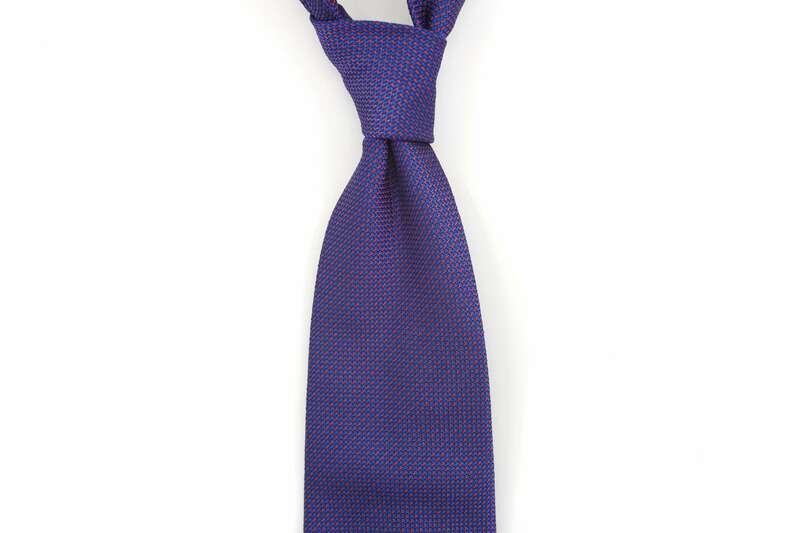 This silk is exclusively woven for us in Como, Italy by one of the oldest and finest silk weavers in all of Europe. They are still using traditional manufacturing techniques and wooden looms that are about 100 years old.